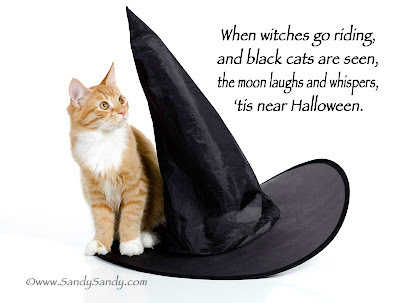 *SANDY SANDY ART*: Kittens Win The Witchy Cat Contest! 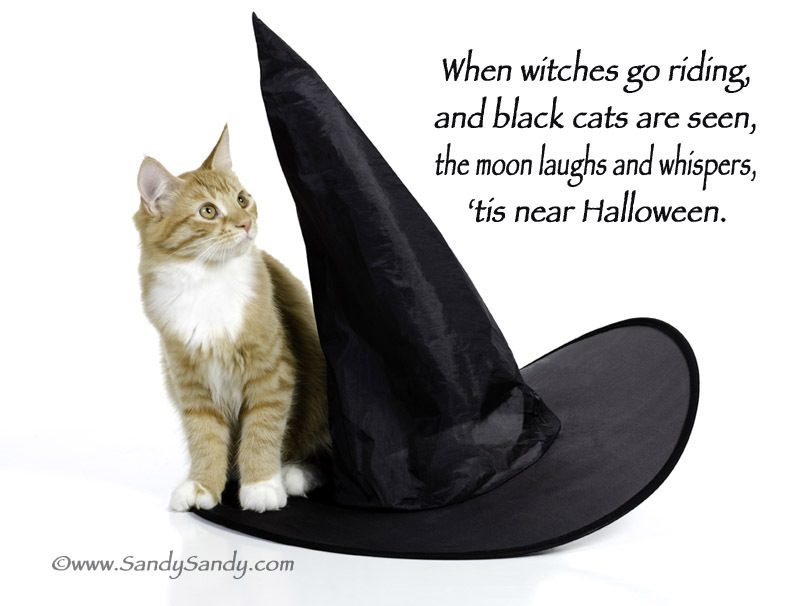 Last week I entered a couple of photos of Pye Pye and Opie in a Witchy Cats Halloween Photo Contest hosted by Kim of Witch Cats and The Wiccan Life Blogs. Today in the mail, we received our prizes! 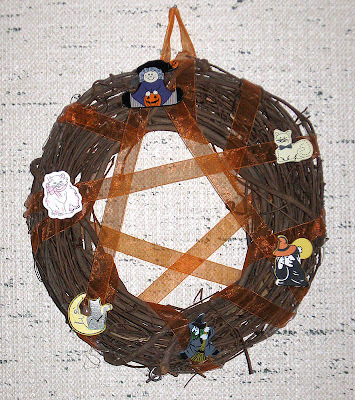 I love this wreath with a ribbon pentagram and cute witches and cats that Kim made. Such an original idea and so well executed! I found the purr-fect place to display it and this great seasonal decoration has already been hung on the wall. Kim also sent the kittens a handmade catnip toy mouse. I woke up Opie from his nap and he was too sleepy to play much. But Cutie Pye really got into it. She gave it (and herself) a real good workout. THANK YOU VERY MUCH Auntie Kim!! We love our fun loving, like minded blogging friends! You are so very welcome!! It fills my heart with such happiness to see how much Pye Pye loves the toy! 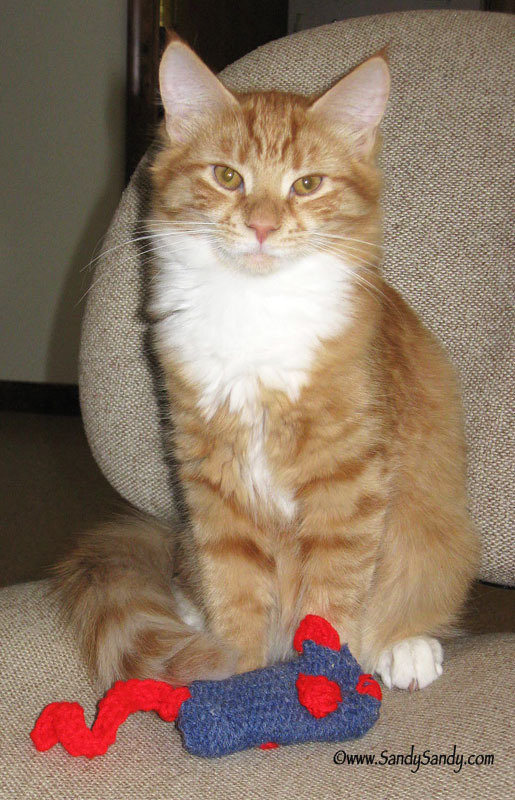 I am sure that Opie will too just as soon as he wakes up from his kitty nap! LOL! Glad you enjoy the wreath! Yay! LOL! 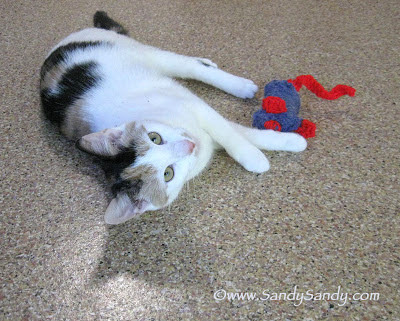 I see Pye Pye having a blast, doing the bunny kick on the catnip mouse. 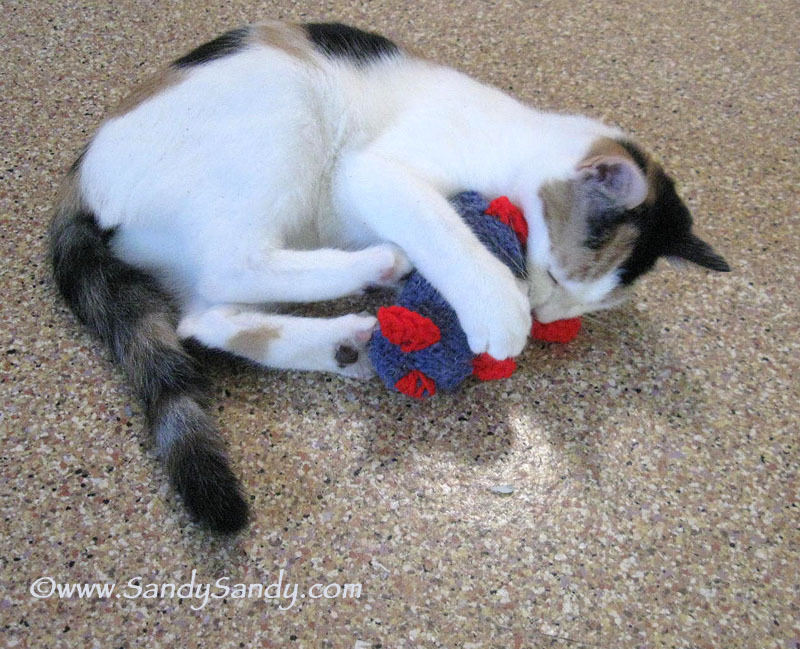 She is Nipped-Up!! Poor little Opie...never wake a fellow up from his nap. Great winnings!! !